When we decided to go ahead with this project we did not anticipate how hard it would be to schedule a date for when the photo shoot could happen that would work for all those involved. Originally set to be some time in late-April or May, we ended up having to push it back to the first Sunday in June. Jonquel and I found this to be a bit funny considering that the MET gala takes place on the first Monday in May. I guess you could say we took it to be a sign. We did luck out because it was unseasonably cool day which worked in our favor since we all had to wear jackets, and blazers, some even had fur and leather as part of their outfits. Jonquel actually fur and leather. Soon after that the conversation shifted from being excited to see the film to using it as a platform to demonstrate that size doesn’t limit style by recreating outfits based on each heist-member’s looks from the film. 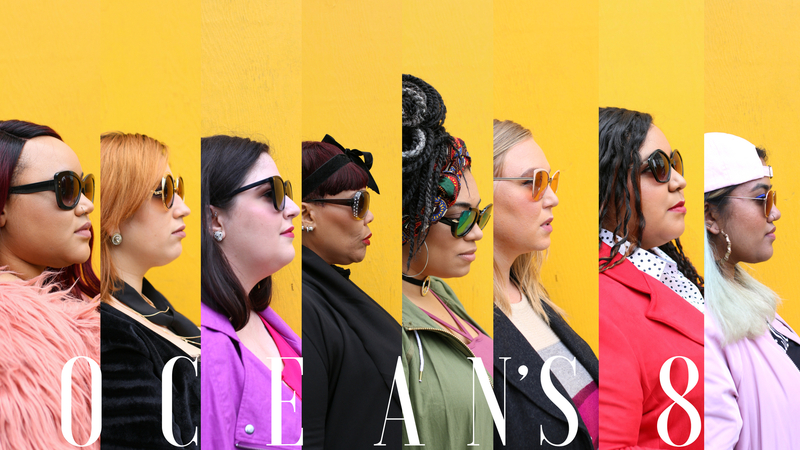 Very much like the concept of the film, Jonquel and I took extra care to recruit some of our influncer friends, who we felt shared a love of film and fashion as great as ours, casting them in roles that matched their individual style and/or personalities. Being plus size and a huge Disney, Harry Potter, Anime, J-rock, and Marvel fangirl is really not easy. For one thing, when it comes to shopping for geek/nerdy tees, and cosplay apparel it is rare to find pieces in sizes larger than an XL for women. Then there is the expectation that one should only choose characters that are of your same race. 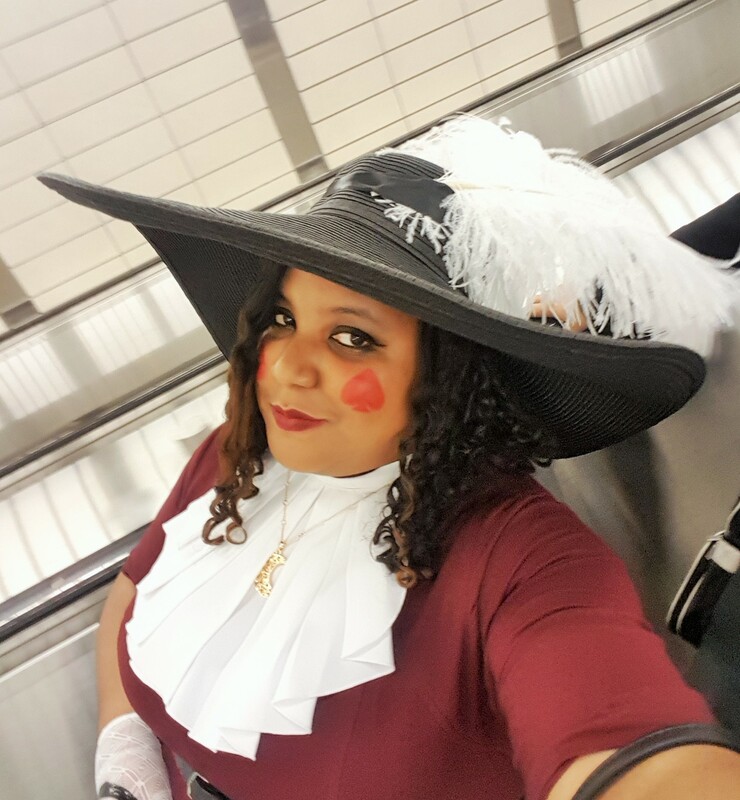 As I mentioned before in an earlier post, cosplaying is often seen as something that should only be done by those that “can truly emulate a character as depicted in comics, film and video games.” This obviously leaves people of color as well as plus size women like myself out or at risk of getting highly criticized by the geek community. For this reason, when it came time to order my Little Petal convertible dress, I had originally chose the Korra dress because I figured that that was a character I could get away with cosplaying, but when I started communicating with designer, Danielle Ward I changed my mind. As a body positive designer and business owner, she doesn’t believe in things like size limiting who you can dress up as, rather you should think of who you see yourself as. 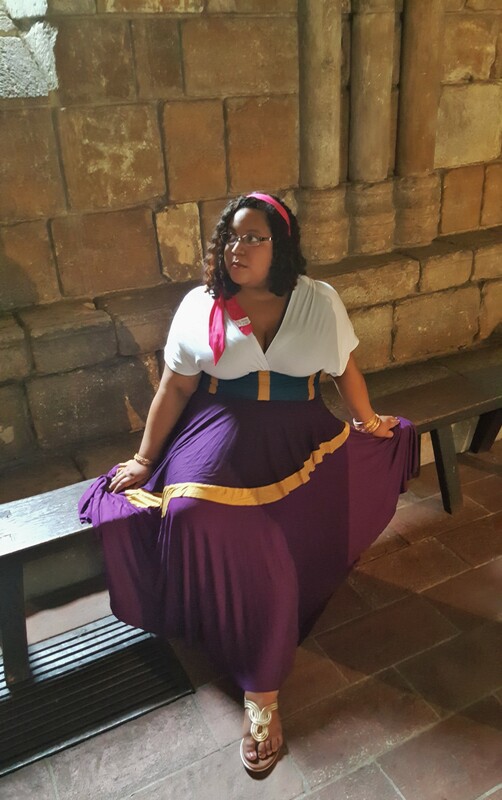 For me that made the decision easy – Esmeralda from Disney’s The Hunchback of Notre Dame. New York Comic Con 2014. I was determined to be one of the first people to get this limited edition Sailor Moon t-shirt that had been announced by Viz Media on Twitter a few days before. During my more than two hour wait in line for the con to officially open, I decided to put on some lip stick and I was approached by this beautiful young woman who asked to use my compact to touch up her make up. We talked about make up, the con and of course her cosplay. She was wearing this interesting dress which she changed three times while we were on line. Later that same day as I walked the show-floor I bumped into this young woman again at a booth covered with pictures of women in dresses like the one she was wearing and she introduced me to the designer, Danielle Ward. Owner of Little Petal, she designs and creates custom convertible dresses that are comfy and sophisticated. These dresses are unique recreations of characters from comics, manga, anime, film and even video games. As someone who, at the time, hadn’t cosplayed but wanted to, I was stunned by the concept. One dress, multiple styles. I put down my deposit immediately. Danielle is so amazingly creative and talented that I just had to find out more about her. Check out my talk with Danielle below! Disclaimer: Responses have been edited for clarity and length. 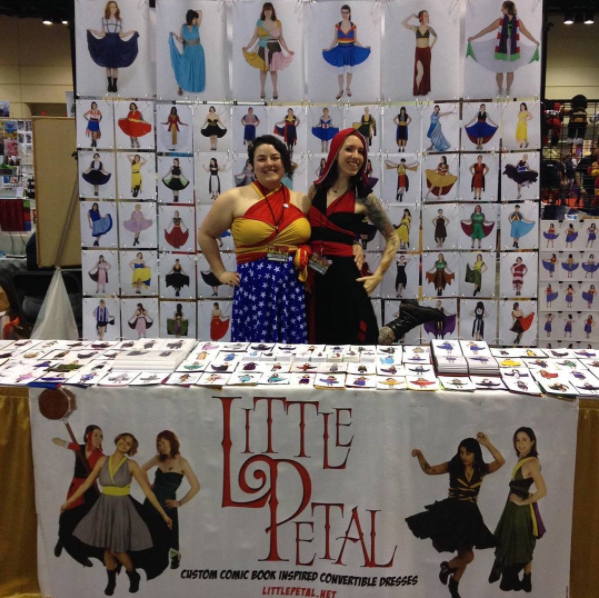 Leanna (Little Petal’s Webmaster) and Danielle at Megacon.